YouTube is currently testing a new feature with a pilot group of YouTubers that allow annotations in video clips to be linked to a page within an associated website. 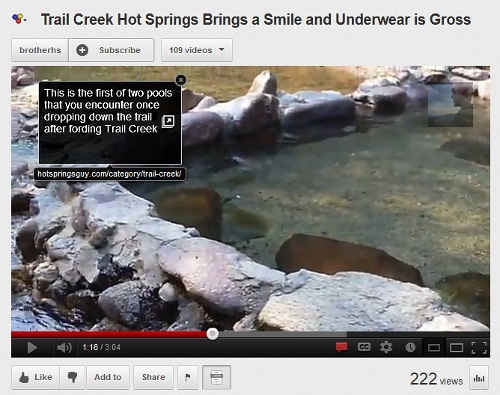 YouTube presently allows linked annotations to a YouTube Channel, Video, Playlist and subscribe option. 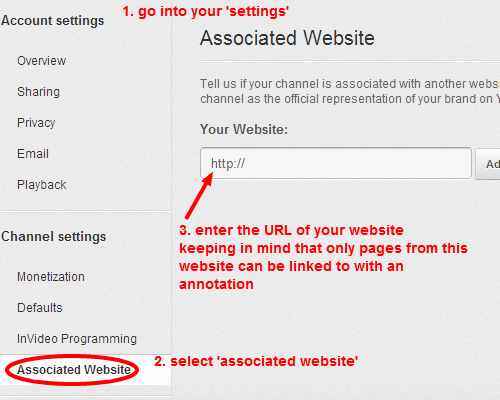 If the pilot is successful, users will be able to link to any page on the associated website set in YouTube settings. Linking to any other website aside from what was set as the associated website is prohibited. Within your YouTube settings select the ‘associated website’ option. Enter your website URL in the box provided. 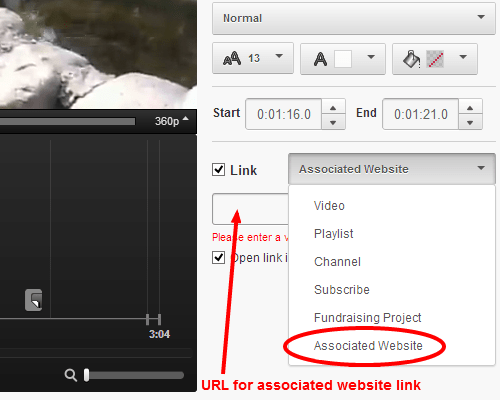 Now that the associated website has been set, choose a video in the video manager to add a linked annotation. 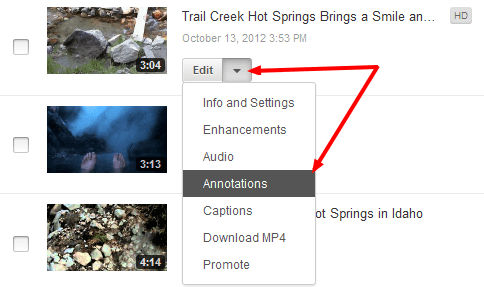 Use the edit drop-down next to the video to select the annotations option. Once the create/edit annotation screen loads, either create a new annotation or select an existing. Select the checkbox for ‘link’, then choose ‘associated website’ from the options. And finally, add the URL of the page located within the website previously set as the associated website. If ‘associated website’ is not one of the available options, you are most likely not part of the pilot group. Once you’ve entered the URL for the link, save and publish the changes. The new linked annotation should look something like the one displayed below. No word yet on if or how much link juice/authority will pass from annotated links. However, this could be an opportunity to further integrate website offerings with YouTube content. Plus, giving viewers the option to obtain extended or supplemental information about the video they are watching benefits not only the viewer, but the website as well – regardless of any link juice issues. The majority of the pilot group of YouTubers that have linked annotations enabled were sent an email from YouTube notifying them of this. Still, it might be worth it to check for yourself.